Length: 8 hrs. 39 min. "I’m an evangelical Christian. And I’m not Amish, Quaker, or Mennonite. I own several guns and still believe that the smell of a recently fired shotgun on a crisp fall morning comes darn near close to paradise. But I’ve tried my hardest to understand God’s Word and the diverse perspectives of those who read it. And the more I study, the more I discuss, the more I’ve become convinced: Christians shouldn’t kill or use violence — not even in war." 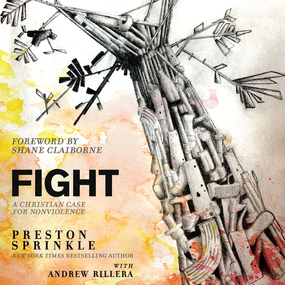 With these words, Preston Sprinkle jumps into a compelling, passionate study of God’s perspective on violence. Examining both the seemingly angry, violent God of the Old Testament and the peacemaking Jesus of the New, Preston takes us back to Scripture to discern how God has really called His people to think and live in the midst of a violent world. He asks us to join him in inviting God to challenge our presuppositions, to set aside our biases and backgrounds and fears … and to seek above all else to faithfully follow the Savior who humbly submitted to God in the face of injustice and violence.